The following post runs through a complete install of the NetApp Software Stack on a Windows Server 2008 R2 SP1 to which NetApp storage is to be attached. Note: The links for FC Host Utilities and iSCSI Host Utilities both lead to downloading the Windows Host Utilities. Reboot to complete the hotfix installs. 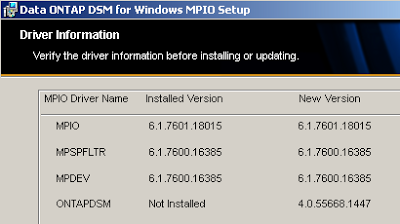 Double-click the downloaded netapp_windows_host_utilities_6.0.2_x64.msi to install the NetApp Windows host utilities. Follow through the wizard, accepting the EULA. Select whether to install support for Multipath I/O or not. Note: Selecting ‘Yes, install support for Multipath I/O’ automatically installs the Windows Server 2008 R2 feature ‘Multipath I/O’. 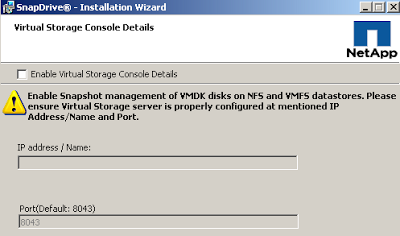 Image: NetApp Windows Host Utilities Support for Multipathing? Choose an install location (default is C:\Program Files\NetApp\Windows Host Utilities\). Complete the wizard, and then click Install and - once complete - click Finish. Reboot to complete the host utilities install. Note: It is not essential for this to be installed for the server to understand multipath to NetApp storage. 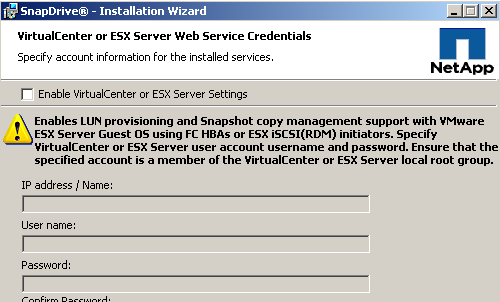 Windows Server 2008 R2 MPIO natively has support for NetApp. 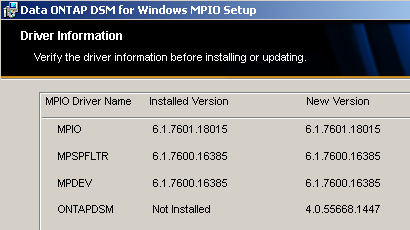 Image: Windows Server 2008 R2 MPIO Devices pre NetApp Multipath I/O install. Double-click the downloaded ntap_win_mpio_4.0_setup_x64.msi to install NetApp Multipath I/O for Windows. Note: With the NetApp Windows Host Utilities already installed, no patches are required here. 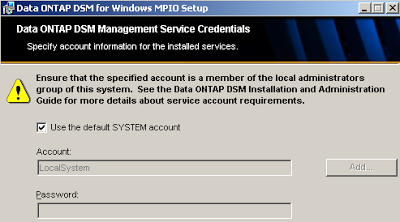 Click OK to the ‘Data ONTAP(R) DSM requires ALUA to be enabled on your storage controller for the associated FC igroups’. Enter the 14-character license key. 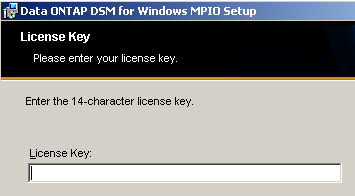 Image: Data ONTAP DSM for Windows requires a License Key! 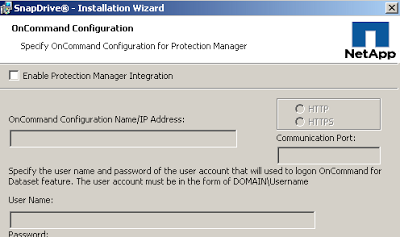 Specify the account information for the installed services. Select whether to install Hyper-V Guest Utilities or not. Verify the driver information before installing or updating. Reboot to complete the NetApp Multipath I/O for Windows install. 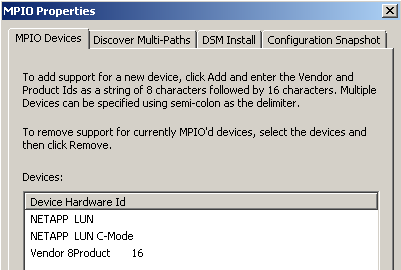 Image: Windows Server 2008 R2 MPIO Devices post NetApp Multipath I/O install. Note: The NetApp Data ONTAP DSM install does not add anything to All Programs. Double-click the downloaded SnapDrive6.5_x64.exe to install NetApp SnapDrive for Windows. 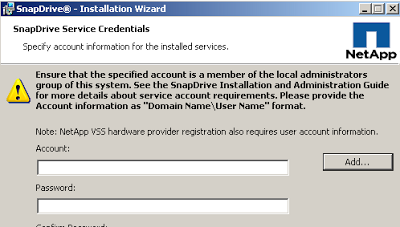 Follow through the SnapDrive - Installation Wizard. 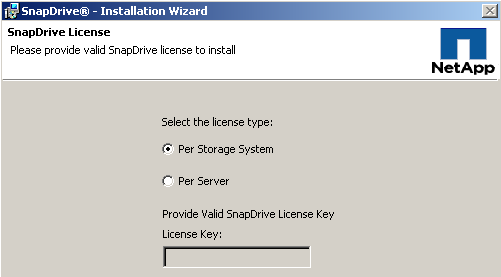 SnapDrive can be licensed in two ways, either ‘Per Storage System’ or ‘Per Server’. 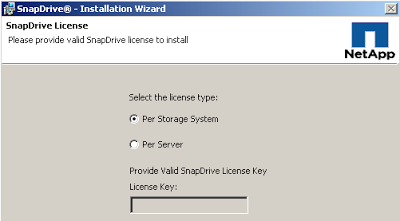 If per-server then a Valid SnapDrive License Key is required before continuing! (If required) Enable SnapDrive with VMware vCenter integration and specify the account information for the installed services. (If required) Enable SnapDrive with Virtual Storage Console integration and specify VSC details. 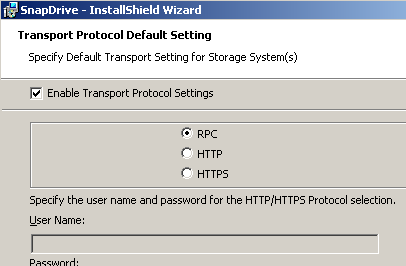 Specify the Transport Protocol Default Setting - RPC, HTTP, or HTTPS. 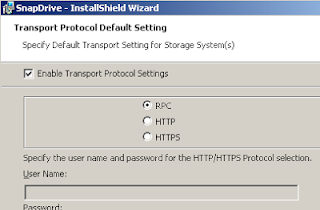 Specify SnapDrive Protection Manager integration. A reboot is not required after installing SnapDrive. After install, SnapDrive is available via All Programs > NetApp > SnapDrive. Thanks you for great write up! Do you have the list of hotfixes for 64bit OS? If you install in the order above, it should just be the following (installed before the FC/iSCSI host utilities) that are required for Windows 2008 R2 (64-bit). I have been trying to automate this process or command-line it for some time with no success. Right now I am resorting to AutoHotkey and its Script Recorder. However that is troublesome and requires a lot of trial and error. This needs to be simpler or easier to script for repetitive use.